Happy (formerly Dickenson) is living up to his name by not only being happy, but also making those around him happy. 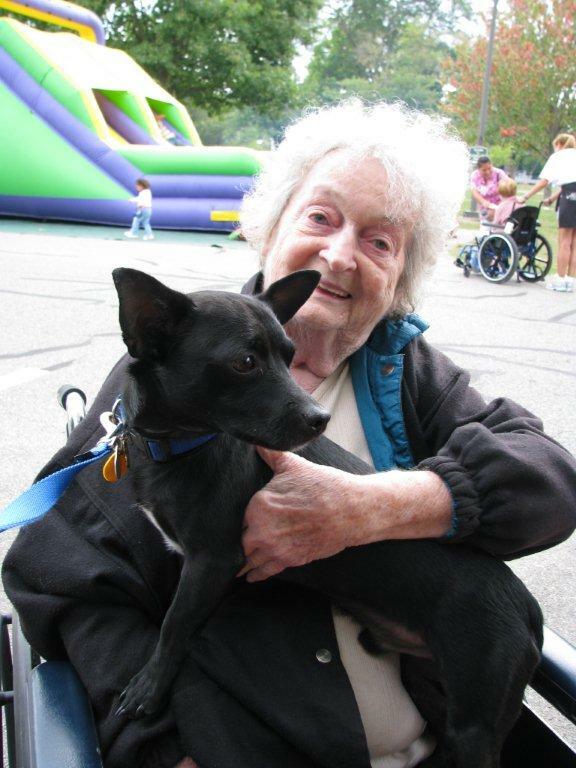 This past weekend he celebrated grandparents day by visiting his owner's mother at the nursing home. His family reports that he's sweet, smart, affectionate, and incredibly cute.